Ummm Pinterest is calling and they want you ASAP. So stinkin cute!!! Love everything about this look! Those mint jeans are super cute! I have 3 mint colored dresses and 1 mint colored pants...I think I need one more :) What a cute look!!!! I can't get over how adorable this look is! 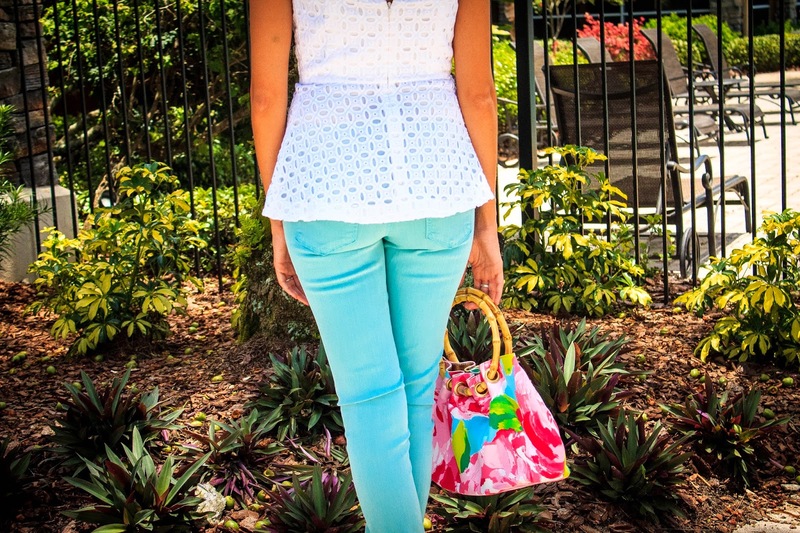 I love that you've paired a classic eyelet top with bright colors. So pretty! 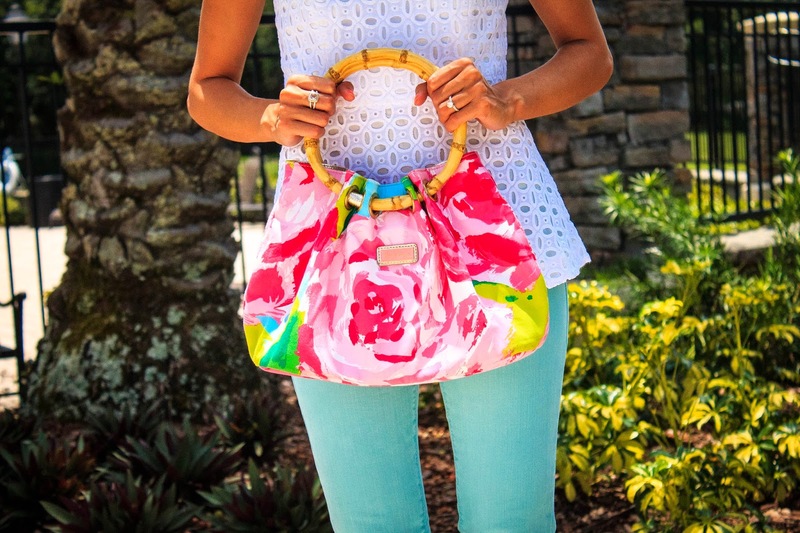 That peplum top is so pretty, J.Crew never fails! And that bag is TOO cute! Umm that top! What is the sizing like? I want one! Such a pretty look! Love the white and mint together. LOVE this outfit...so cute and perfect for summer! I know this post is about the denim...BUT OMG seriously, that top?!?! LOVE! :) you're seriously the cutest. Not seen mint denim's before! 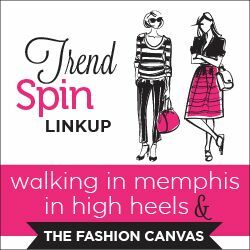 You have the perfect figure for skinny jeans and they go so well with your white peplum. the perfect Summer's look! Love this look is is a great summer outfit!